Much of the aid we send out goes to those in need of clothing, food, school supplies, hygiene supplies, & biblical literature. We are associated with a similar organization called Christian Aid Ministries. 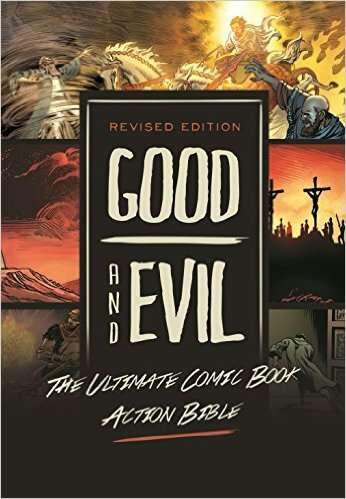 We also are distributing an award-winning graphic novel depicting the Bible stories from Genesis to Revelation, called Good & Evil to those incarcerated in the state of California. This book is published by No Greater Joy Ministries and authored by Michael Pearl. We supply these books to those who have written and requested a book and we also work with chaplains to distribute the Good & Evil book in their facilities. This book is well received and easily understood by inmates in California. It is in high demand among those who are incarcerated. In addition to the Good & Evil Book, we are distributing other Biblical Literature directly through local chaplains. This literature includes Study Bibles, Concordances, Bible Story Books, and other Christian Living Books. We desire that all praise and glory be given unto our Lord Jesus Christ. May the Lamb that was slain receive the reward of His sufferings!